There are two ways to calculate the cost of tree removal, using a calculator tool or being given the variables to work it out yourself. But which one is better. The average tree removal cost is $765 so far in 2019. Prices start at $324 and go right up to $5000. Below is our FREE online cost calculating tool for tree removal. Use it to quickly and easily work out an estimate your tree job. Calculating the cost to remove a tree can be tricky as there are a lot of factors to take in, but understanding all the factors will be a huge advantage, as it will give you the upper hand on understanding where big savings can be made with your own tree removal job. Shortcut: Why not getting 3 FREE estimates from local tree services. All have been voted best priced by previous users. 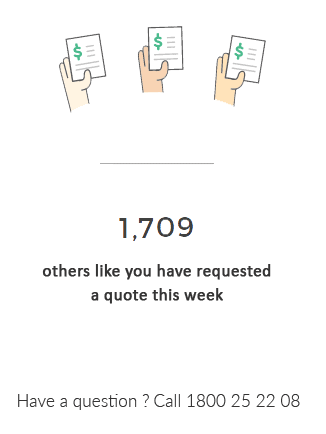 It just takes 2 minutes to request a 3 FREE quotes. How is the cost of tree removal calculated? There are a lot of variables to take into consideration when calculating the cost of tree removal. The way in arborist would normally calculate the cost of removing a tree is to come out for a site visit to visually see the tree, view the access to the tree and any obstacles around the tree. They can then determine how much time it will take to safely dismantle the tree and take everything away. As tree services do not charge an hourly rate, but charge by the job, there is not a general formula they use for calculating the cost of tree removal. Every tree service company is different so the use their own formula specific to their business. All businesses have different overheads, staff members and a wide variety of equipment used to remove trees. All these cost factors specific to their individual business need to be taken into consideration when pricing your tree removal job, so they can guarantee their time is not wasted and they can make a profit. How much does a tree removal typically cost? The national average cost of tree removal is $765 from figures so far in 2019. A low estimate on tree removal would be $324 and a high estimate would be $5000. The cost of tree removal can go a lot higher than this, but the above price range is within a band of averages. How does the above cost calculator work? The tree removal cost calculator which we have put together is one of the most accurate on the market. It takes into account four (4) of the main factors to determine exactly what a tree job will cost. We use these 4 variables as they are the biggest factors that swing price the most. Just by using these 4 variables, we are able to calculate with a certain degree of accuracy the price you would expect to pay for your particular tree removal or trimming job. Some of the factors we considered adding to the calculator tool that also affect the cost were whether the tree is dead or alive, obstacles around the tree such as fences sheds power lines or your home and also if the tree is on a block of land with a steep gradient. We have found that even though these factors do play a role in the cost of tree removal, the four main factors that we have included in the cost calculating tool still seem to be the most relevant and get a very accurate price within $75. Does this cost also calculate stump removal? The above cost calculator we have put together above does not take into account the separate cost of stump removal, but includes the cost of stump removal in the estimate when removing a tree. We have been working on a separate tool to calculate just the cost of stump removal or the cost of tree removal and stump separately, but we have found that to include tree and stump removal as a package seems to work best and is one of the more popular search terms by users. What factors add to the cost of tree removal? Below we’re going to go in a little bit more detail discussing some more factors that will contribute to the cost of tree removal. Again in the calculator we have left these particular variables out as a selection criteria yet as an average they have been factored in to the cost. This is where a small bit of variance does come in which can either work in your favor or against you. These factors are in no particular order but it did make sense to stick this one at the top. Time of year is a very important factor when it comes to the cost of tree removal. Getting your tree removed in spring and summer will have you paying a premium price for the service. It’s much like trying to book a hotel by the beach during summer holidays. There is a lot more demand during this period and you’ll simply pay more. During the winter months most tree companies go into hibernation (pun intended) as they do not have enough work to sustain them. Some can thrive in winter if they have a side business such as selling firewood, but for most tree services they continue doing whatever tree work they can find. This is great news as you are on the right side of the supply and demand chain with tree services falling over each other trying to win your business. At the end of the day you will pay less. Tree size is an obvious one, so I won’t go into too much detail, but the bigger the tree the more you will pay. Now there is a difference between how tall a tree is and how “big” it is. When I say big, you need to factor in number of branches and spread of the tree. Some trees have a single straight trunk with lots of small branches which are really easy to work on. Others will have like an oak tree will have large branches it extend out a long way. These are a lot more time-consuming to work on and will cost you a lot more money to remove. The diameter of the tree trunk is generally directly tied to the size of the tree. The taller the tree, the larger of the diameter of the trunk needed to support that tree. That being said you do get some trees that are tall with a very slender trunks. These are a lot easier to handle a lot less time-consuming and less manual labour required. A good general rule of thumb to consider when calculating the cost of tree removal is, the more volume of timber the more it will cost you to have the tree removed. This is a really big factor and has been added as a selection criteria in the tree removal cost calculator. Imagine you had two identical trees one of them was in your front yard which was easily assessable by heavy machinery and the other tree of the exact size and shape is in your backyard with very poor rear access. The tree in the front yard will most likely cost you half the price as tree in your backyard. The reason being there is a lot more manual labour involved in transporting the tree from the backyard to the front without the assistance of heavy machinery. This takes time and time is money. Pro tip: You can negate this extra cost by granting the best access possible to the tree in your backyard. If you don’t have a driveway with a good rear access, maybe your neighbour does? Putting them on your Christmas card list and asking them if they would mind you removing a section of fence so the tree services can access your backyard through their driveway will save you hundreds of dollars. This is a very big factor depending on the obstacle the tree services face. If a tree is overhanging your house obviously the house cannot be moved to make the removal of the tree easier. The arborist will just have to work around it. But other things like pot plants, fences and even power lines to your house can all be removed or repositioned to make the removal or pruning job a lot easier for the tree service company. Pro tip: The easier it is for the arborist to remove your tree, the less money it is going to cost you. Remove any obstacles around the tree before the tree comes down. It is important that you do this or indicate your intention to do this during the quoting process. The tree service needs to know exactly what they are working with when pricing your job. This factor is probably one of the biggest ones people don’t take into account. There are many types of tree companies of various sizes who approach their business model differently. If you get three quotes from the first tree services that you find in an internet search, chances are you were going to be paying more for tree lopping. It is not blind luck or coincidence that those companies were the first ones that you came across. These companies pay a lot of money to be in top positions. Their large marketing budgets will net them a lot more leads and phone calls, but they will need to quote higher prices to recoup the large amounts of money they do spend on marketing. So don’t be afraid to check page 2 of Google results or Yelp. What can I subtract from the cost of tree removal? There are many things you can control in reducing the cost of removing a tree from your property. This one we have touched on a little above. Because there is so little work and so many companies trying to win the work, you will find in most cases they drop their prices 20 – 30% in the cooler months. Giving the tree service better access is also a very big deal. If you are able to remove a section of fence to allow the tree service to enter via your neighbours yard, or maybe you back onto a laneway or park, you will save them time and yourself a lot of money. There are lots of obstacles that you might not even think of being a big deal, but can add to the time taken to remove the tree which will inadvertently cost you more money. Tree pruning and removal is pretty rough and tumble. If you have anything delicate near the tree being trimmed or removed such as pot plant, outdoor furniture, kids play equipment etc. this will have the tree service company dancing around it all trying not to damage anything. Even a nicely manicured lawn or a beautiful garden bed under the tree can seriously slow things up. If you make it clear during the quoting process that you will remove everything out of the way before they start the job, you’ll find this simple trick can save you quite a bit of money. Depending on the size location, and type of tree being removed it is debatable whether this can save you money. In the case of palm trees on the other hand, disposing of the waste yourself is going to save you 30 – 50% off the price of removal. Palm trees are not like regular trees, they are actually quite acidic and cannot be mulched and re-sold by the tree service companies as garden cover. The whole tree needs to be dumped at a waste disposal facility as general waste and not green waste. This is actually quite expensive with most places charging in the hundreds of dollars per tonne. Because palm trees are full of water and quite heavy, the costs add up quickly. If you if you were to dispose of the waste yourself either in your garbage bin over time or if your local council or city area has yearly clean-ups for free, the you can place the palm logs on the sidewalk for free removal. Why not sell your trees timber as firewood? This is only really worth it if you have a large tree, and doubly worth it if the tree is in your back yard and hard to get to. Rather than paying the tree service to remove the whole tree, just ask them to remove the branches. Also ask the trunk to be cut into firewood size logs. Not only will you save money for removal as the tree company will not have to spend time manually loading and removing all the timber, but you can have an auction on eBay for the firewood. People will pay you for the timber and come pick it up for free. Is tree trimming calculated the same way? Tree trimming is calculated in a similar way to tree removal. AL the above factors come into play when calculating pruning costs, but obviously in general tree trimming is a lot cheaper then full tree removal. For more information on the cost of tree removal, please have a look at our tree trimming cost guide for more information. How is palm removal cost calculated? Calculating the cost of palm tree removal does vary quite a bit from regular tree removal. In essence, they are two totally different jobs and a palm tree is really just one long trunk with a few leave on top. They are going to be a lot easier for the tree service to work on, so the cost to calculate their removal is a bit different. The average cost of palm tree removal is $429. At the low end you might only pay $150, but at the high end of the spectrum you can pay up to $3000. This is a topic we will have to cover in more detail and is beyond the scope of this article. work done at the lowest prices, we 100% guarantee it! “best price & quality of service by previous users. We’ve done the research so you don’t have to.